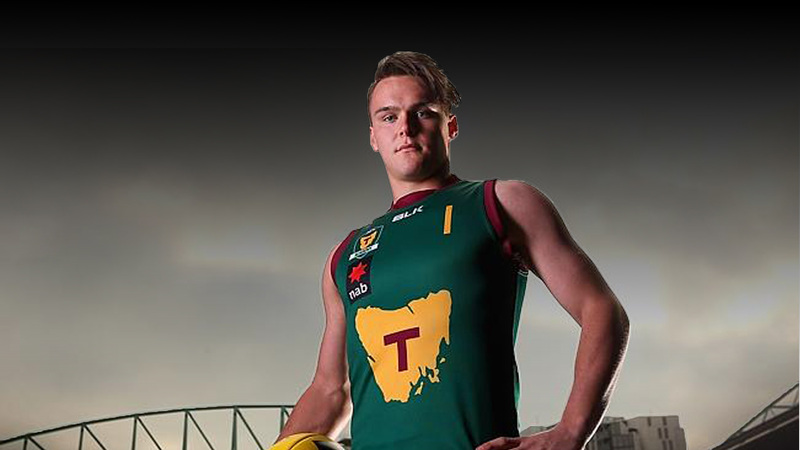 The 2019 TSL season is shaping up to be an historic one for the Kingborough Tigers Football Club. In the off season we have focused on recruitment taking aim at some key and strategic targets to give us more fire power up front and greater depth in the midfield. The recruiting phase was very successful with the arrival of 4 new Tigers, Kieran Lovell ex Hawthorn, Michael Paul ex Huonville Lions, Jarryd Drew ex Southport Sharks, Elijah Reardon ex Cygnet. Kieran is an elite midfielder who will arguably be the best player in the TSL in 2019, he has come to the Tigers excited and motivated and will be a prolific ball winner in the middle for us. Michael Paul provides us with that big body tall target up forward we have been dreaming of, he is preparing himself well for his step up to TSL being a regular face on the field at pre-season training since he signed and brings an accurate kick and high marking ability. Jarryd Drew is a strong body hard at it midfielder who will certainly make his presence felt in the Tiger jumper adding physicality to our midfield. Elijah Reardon brings excitement up forward with considerable tricks in his bag, he is certain to entertain with many high flying forward grabs expected. Our midfield menu of Lovell, Clifford, Drew, Matthews, Campbell, Watt and Duigan is no doubt the envy on many clubs. Our forward line up of Paul, Reardon, Sawdy, L Graham will be difficult to match up on and give us many scoring options. Down back the depth continues led by Davies, Rice, Carter, McCulloch and B Graham and we will see some cameo appearances from our DEVILS TAC cup representatives, Gadomski, Donnelly and Burrows-Cheng throughout the season. Why wouldn’t you want to be a part of the excitement ahead? There are also a few familiar faces returning to the Tigers in 2019 and these will be announced via social media soon. Last season our best footy matched it with the best in the competition, this year our list is stronger and deeper and well positioned to jump up into the final 5 and cause havoc in the 2019 final series. We approach the season well settled, our entire senior list from last year re-signed with the club before seasons end 2018 except for 4 players who have moved away. In the new year we are hopeful for 2 more familiar faces returning to pull on the Tiger jumper and complete the list in readiness for our biggest ever TSL season. To provide a solid platform for our playing group across TSL Seniors, TSL Women, Reserves and U18’s to develop and succeed it is imperative the club has a sound financial base with which to work. We thank with hand on heart our list of loyal sponsors who go above and beyond to help the club financially but for the Tigers to embark on the march up the ladder and play finals footy we all need to rally together as a Tiger family and unite in support of our players to provide them with the resources they need to succeed in their football goals. The best way to come on board and be a part of season 2019 is to become a member. There is a link on this page that takes you to the various membership packages we have on offer and I am certain there is one package that suits all levels of Tiger supporter. The packages have been tailored to suit all budgets and they give like-minded an passionate Tigers supporters an opportunity to mix together at functions throughout the year, with the added benefit of providing an extra level of financial support which is helping to build a stronger future for the club. So I invite you to consider one of our membership packages and why wouldn’t you want to? we move into season 2019 with the best team we have ever had at the club, new recruits and a list full of home grown Tiger talent many of which have played 50+ games for the Tigers. I look forward to your involvement in season 2019 and encourage you to encourage others to get on board the 2019 Tiger train. The club cannot succeed without your help and valuable support a united team off field is even harder to beat on field. COME TO THE TWINS AND HEAR THE TIGER ROAR LIKE NEVER BEFORE. Kingborough Tigers Football Club Inc.